/ Are You on the Pastoral Staff of a CMBA Church? Do You Have a Personality? Are You on the Pastoral Staff of a CMBA Church? Do You Have a Personality? The SC Baptist Convention is offering the opportunity for all “pastoral staff” of our churches to take the DISC Assessment Profile for free. The assessment allows pastoral staff persons to learn about their leadership style and how to relate to other personalities. Interested in finding out about this? Keep reading. The association is asked to compile a list of interested pastoral staff in our association and send it to the office of Bert Ross, Chief Human Resource Officer at SCBC. To sign up, click HERE and provide basic contact information we need to send to SCBC. Please complete by Friday, February 16th. 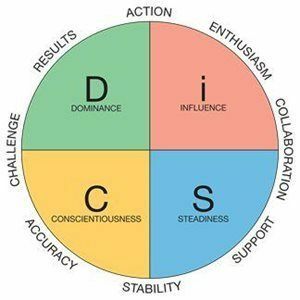 If you want more information about DISC before you decide, go to https://discprofile.com/what-is-disc/overview/.